There are hundreds if not thousands of Microsoft Excel Access Office Training firms spanning the globe. So many of those are top notch firms, providing superior Excel and Access training. But there are even more that leave the client disappointed and feeling short changed, it actually happens more than we would like to admit, but it does, and it does not need to be that way; just hire the better Microsoft Excel, Access and Office Training firms, not the lesser ones. You need to know several things before you are able to do that. First off, sure, more often than not, the better Excel, Access and Office trainers charge more than the lesser firms, but not always. There are plenty of firms that charge a premium while providing inferior training. On the other side of the coin there are also several top notch training firms that charge very affordable rates. So when you are looking to hire the firm that will train your staff on any of the Microsoft applications, look for a quality firm that charges a fair rate. As in many other markets, you often get what you pay for. This market is no different. Microsoft Excel, Access, and Office Training rates are very competitive and they are lower than many of the quality firms in the market, and for good reason, we want to be not just your training vendor but also your Excel and Access programming vendor. As such our rates must be lower than the competition so that you hire us and not them. Many firms such as Verizon and Ralph Lauren started just that way, many many years ago, and they are still with us today. Originally we went onsite to provide three days of Microsoft Excel in a group training environment. After that they hired us numerous times to provide Microsoft Excel programming. The reason they became long-term clients is not only due to the quality of our Excel and Access training or our Excel and Access programming, but also because our rates are seen as a good value. When it comes to Microsoft Excel Access Office Training there is a big skills difference between the best and the worst trainers vying for your attention and dollars. This is due to the broad range of skills and abilities held by the trainers on the market, most trainers do not have the skills nor the ability to provide the caliber of training that most organizations are looking for. But you do not learn that until it is too late, not until you have paid for the training and not until your staff has invested their time in the training sessions. It is then and only then that most organizations learn that anyone can label themselves a Microsoft trainer, even if they are not that skilled, that is why most of those calling themselves a training expert are mediocre at best. This post explains why our Microsoft Excel and Access training shines above the rest. When it comes to Microsoft Excel training, Dennis Taylor is one of the world’s elite. You would be hard pressed to find someone as good as Dennis at the rates we charge. In addition to everything else Dennis Taylor does he is our Senior Microsoft Excel Trainer (Windows & Mac), and he is in the top two Microsoft Excel trainers on the massive video training site, Lynda.Com (Dennis Taylor on Lynda). You would be hard pressed to find a finer talent. Check out Dennis Taylor’s site to learn more. Microsoft Excel Training Testimonial – I really liked the Microsoft Excel course that I took with Excel trainer Dennis Taylor of Excel and Access experts. Being a CPA I am required to earn CPEs and taking specialized Excel training courses just for CPAs is one way I do it. In all of the Excel classes I have taken, I have learned something very useful in my daily work and have been able to pass along some Excel tips and tricks to my boss who is our Excel guru that he was not aware of. Sure, you could find a less qualified and less experienced trainer that charges a little less than we do, but then your team learns less, far less, so then what is the point other than wasting time and wasting money. So are you just going through the motions or do you want your staff to learn as much as possible, more than enough to save you money by their being able to save time in the tasks that they do in Microsoft Excel, Access and Office. Our rates are highly competitive and are a good value, or so our clients tell us in the testimonials that they write. Here is a link to one of our business associates that offers amazing Excel training for CPAs looking to earn CPEs. He is another example of a firm that gives his client’s training at the elite level. He has an amazing client portfolio. Here is the link to his site, check it out, and tell Jeff that we sent you: Click Consulting. Our effectiveness in providing Microsoft Excel, Access and Office training is so on point that we refer to our micro-group training workshops as mind meld training. We transfer our Microsoft Excel, Access and Office knowledge from our minds to your staff’s, in this small group setting. Schedule our face-to-face, hyper-interactive and mega-dynamic Microsoft Excel, Access and Office micro-group training workshops (6 people or less) for your organization and you will learn firsthand why our Irvine training center is such an effective small-group training environment. One instructor, up to six students, an open forum for all of the questions your staff wants to ask, in our laid back environment which encourages dialog. 100% hands-on, so your staff actually works through each of the topics with us, on their personal laptop. Micro-Group workshop format training (6 people or less), is the best format for small group Microsoft application training because the students are able to learn such a large amount in a small amount of time. We recommend from one to three 8-hour days of training for medium to large groups, covering beginner to advanced, or three 5-hour days for our micro-group training. Why the difference, because the smaller groups actually take less time to teach. The smaller classes even cost the client less money! The students walk away feeling empowered and anxious to apply what they have learned in our Excel and Access training workshops back at their desk. They are now able to do more work in less time with fewer mistakes and less pressure. The results, your organization saves money each time they use what we have taught them. 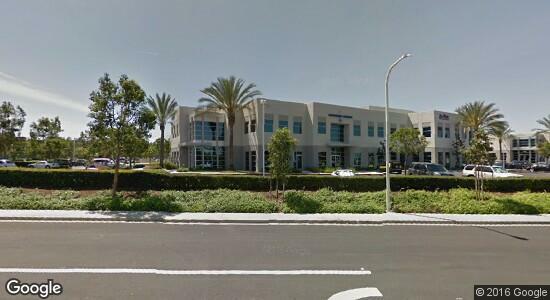 Our “micro-group” training workshops are held in our Irvine Training Center in the heart of the Orange County California business center. 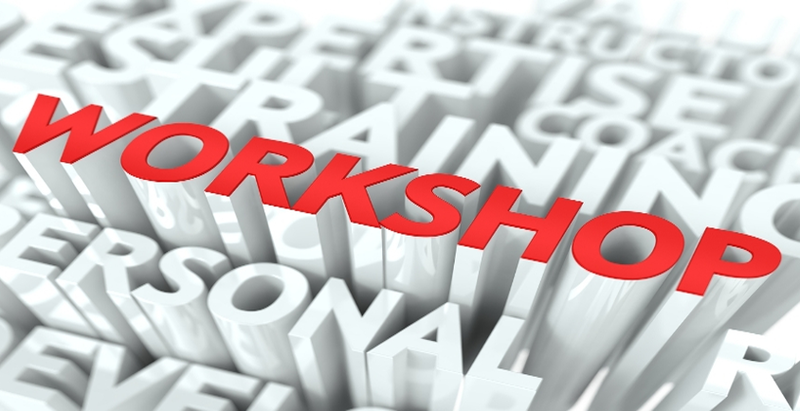 Our local workshops are available six days a week. If you prefer to have our workshops onsite at your location, no problem, we will be more than happy to make the trip (Additional costs my apply). Reason #3 – This is the BEST Training Format – Period! Our one-on-one training is face-to-face training on steroids; there is no better way to learn Microsoft Excel or Access. This twist on our micro-workshop hyper-focus small-group training is this, it is literally one-on-one; just you and the trainer, sitting side by side, on one computer, as you work through each topic until you totally get it. That is why this is the most effective and optimal way to learn Microsoft Excel, Access or Office. Our one-on-one face-to-face workshop training is usually conducted in our Irvine Training Center, but we are also able to come to your location, additional costs may apply, or if you would like, we can do this remotely via GoToMeeting. No matter which format you choose for one-on-one training, this is literally the best Microsoft Excel, Access and Office training possible. Reason #4 – Our Senior Microsoft Excel and Access trainers train, that is it; they are not Excel or Access programmers. Tip: Being an Excel or Access programmer does not necessarily qualify you to be a Senior Microsoft Excel or Microsoft Access Trainer, as they are two different skills and two different professions. For example, Dennis Taylor will never do Excel programming, never. He could, but he is a professional speaker and trainer, so he trains his clients and ours. We teach individual courses in each of the various Microsoft Office applications as well as the Microsoft database applications including Power BI. We also teach courses that integrate two or more of the Microsoft applications, such as integrating Microsoft Excel and Microsoft Access which is extremely common these days. If you are wondering how or why you would want to do this, one example is this: you use Microsoft Excel as the user’s front-end application and Microsoft Access as the backend application. In this scenario, the user interacts with Microsoft Excel, and Microsoft Excel imports and/or exports data to and from Microsoft Access. The user in this scenario never opens or sees Microsoft Access. So Access manages the BIG data with its tables and queries and Microsoft Excel has the charts, graphs, dashboards, etc. If the BIG data is larger than 2 GB you could then upgrade to Microsoft SQL Server and use that as your backend database. For a FREE Consultations please reach out today. Posted on March 25, 2017 Posted in Blog Category and tagged Microsoft Office Training, Microsoft Training, Irvine Training.